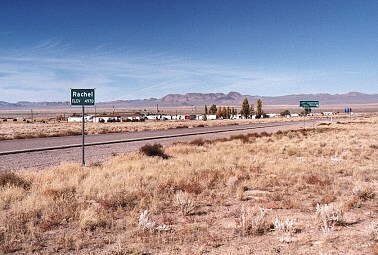 The town of Rachel is located in Sand Spring Valley, in the southern Nevada high desert, along the worlds only Extraterrestrial Highway, aka. 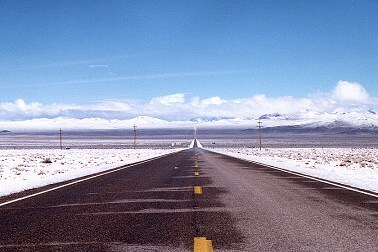 Hwy 375. It is located about 115 miles northwest of Las Vegas, separated from it by the restricted area around the Nellis Ranges, and about 27 miles north of the top secret Air Force Base known as Area 51. Rachel was founded in May of 1973 by D.C.Day, who owned an alfalfa farm in the valley. The town was first called Tempiute Village, then Sand Springs. Later, when the population grew thanks to the reopening of the nearby tungsten mine in Tempiute Mountain, it was named Rachel after Rachel Jones, the first baby born in the valley. In its heyday Rachel had over 500 residents, mostly working for Union Carbide in the Tempiute tungsten mine. When the mine closed in 1988 the workers moved on and today the population is down to less than 80, including some part-time residents. 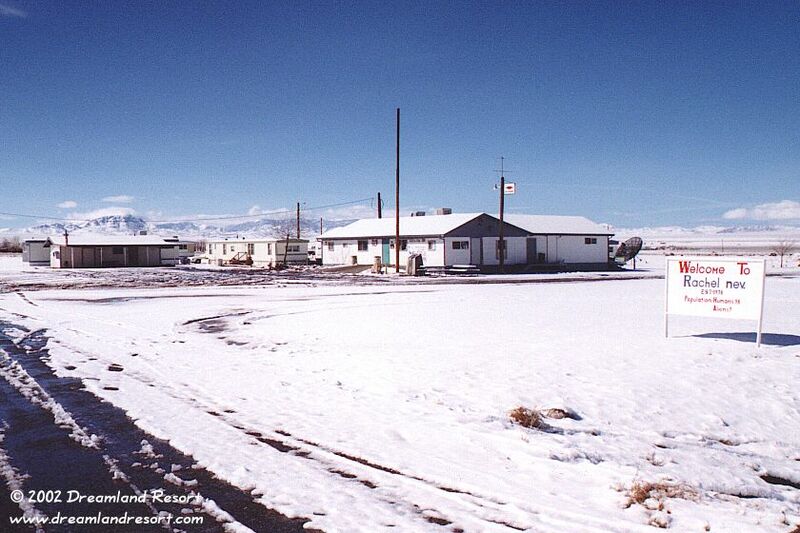 Most of the people living in Rachel are retired, work at the alfalfa farms or at the Little A'Le'Inn. A few people work at the Test Site as the local say. 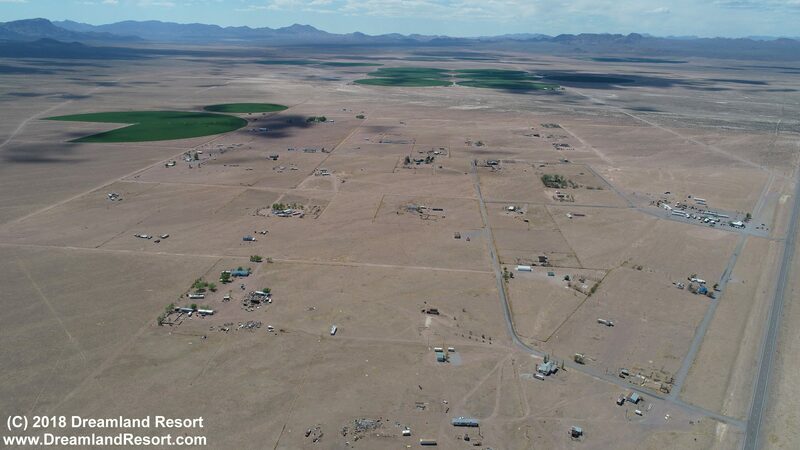 That can either mean the Tonopah Test Range (TTR) or Area 51. But of course those who really work there will not talk about it. 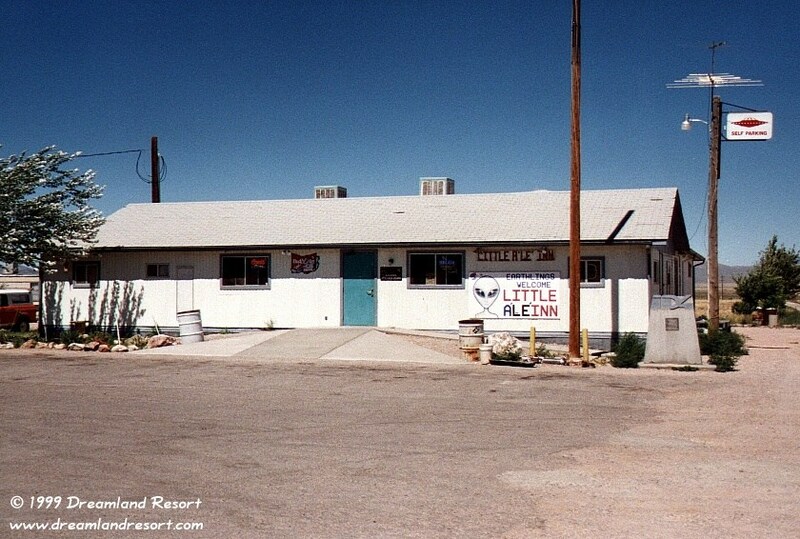 The only remaining local businesses in Rachel is the Little A'Le'Inn Restaurant and Bar. The Quik Pik Mini Mart and gas station closed in the winter of 2006/2007, after briefly being operated by a new owner. The Area 51 Research Center, a small UFO souvenir shop, was closed in the Fall of 2001. In August 2002 Rachel got its own Fire Truck, as the result of an initiative by some of the residents. There is Verizon cell phone service in Rachel with 3G data. Some Sprint phones work in roaming mode. Phones with all other carriers will not have service in Rachel. 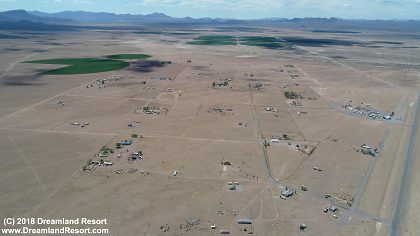 The range of the cell site is very limited and ends a few miles out of town. 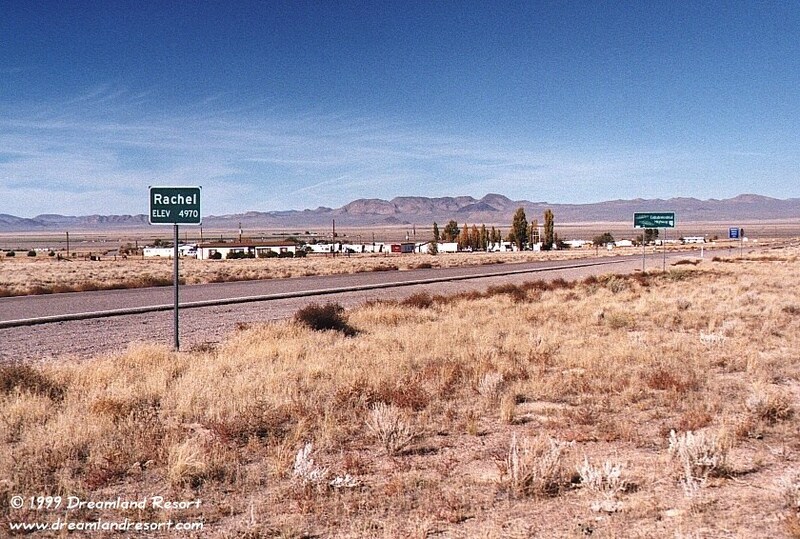 Ever since the late 1980's Rachel has been a popular destination among UFO fans, attracted by the nearby Area 51, and by hundreds of UFO sightings in the area. Rachel has been dubbed the "UFO Capital of the World", and people from all around the world come to visit Rachel and the Little A'Le'Inn, and to get information to plan their personal expedition to that mysterious base in the desert. Click on any of the photos for a larger high-resolution picture. 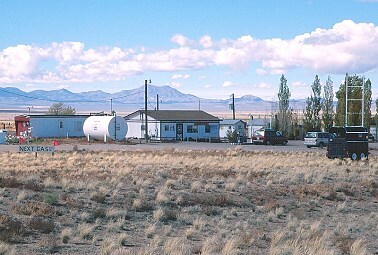 The town of Rachel, NV, seen from the Extraterrestrial Hwy. 375. You really won't need a map to find places in Rachel. Mailbox Row in the "center" of Rachel. 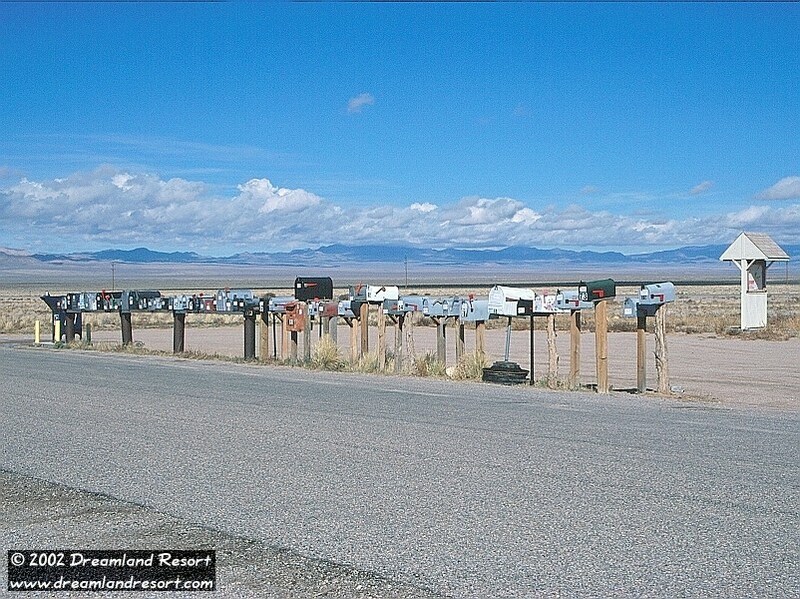 Around 11:30am, when the mail is usually delivered from Alamo, you can often see some locals parked near the mailboxes waiting for their mail. Since the summer of 2000 Rachel has its own blue mailbox for outgoing mail (on the left). In the background on the right is the Rachel billboard. Anything of public interest in Rachel is posted here. 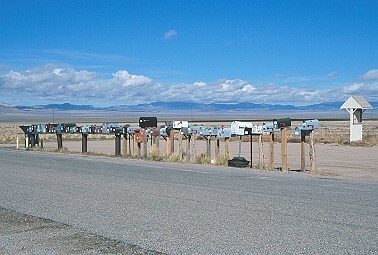 Since this photo was taken the row of country mailboxes has been replaced by gray cluster mailboxes. Photo by Koji Kamino, with friendly permission. 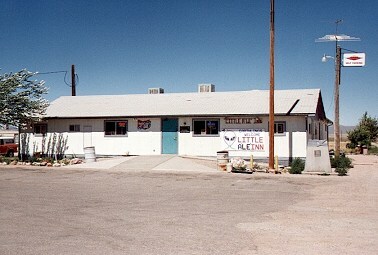 The Little A'Le'Inn Restaurant and Bar. 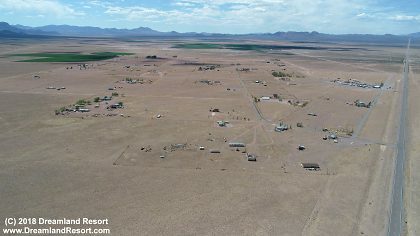 This is a great place to meet both locals and visitors from all over the world that come here to visit the nearby Area 51. 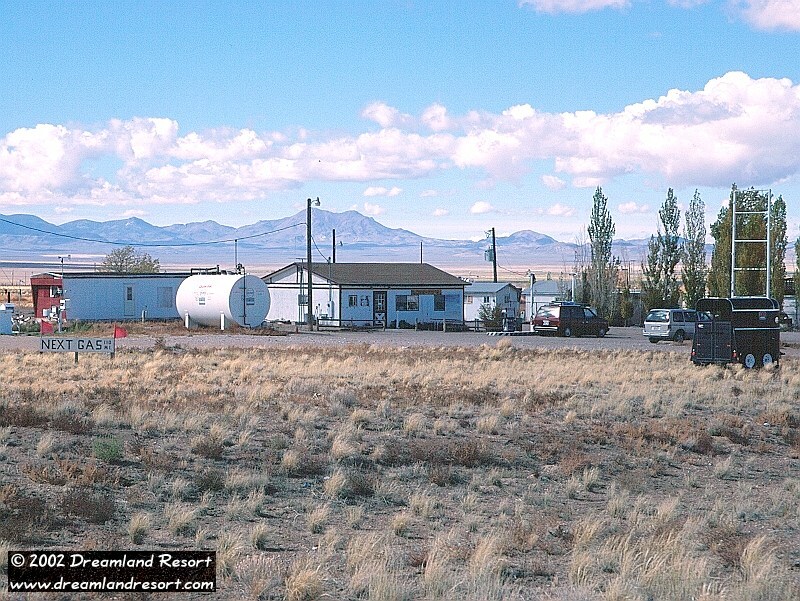 The owner Pat Travis and her staff are always ready for a chat, and to talk about the latest "sightings" at Area 51. Try their Alien Burger, and while you wait, browse the gift shop and check out the unique wall displays of UFO photos. If you decide to stay for the night, the Inn has a limited number of motel rooms, most with a shared bathroom, at very reasonable rates. A night out here in the desert is a unique experience that you will remember for a long time. 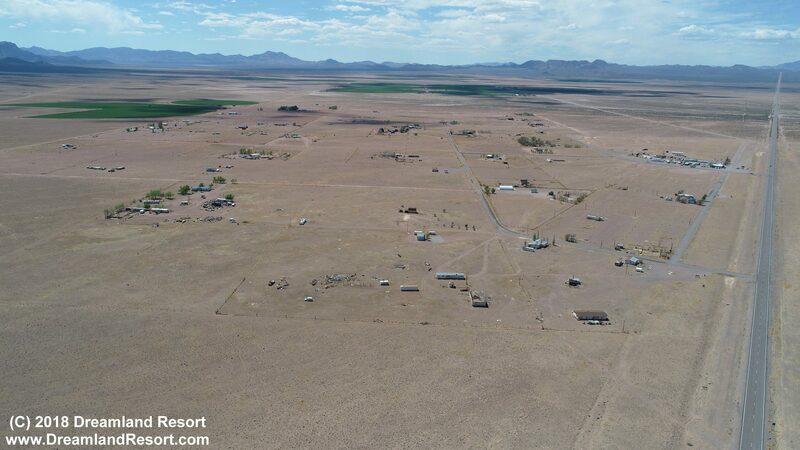 There is no TV reception, but you can pick free movies from the extensive video library at the Inn, including many documentaries about Area 51 and UFOs. 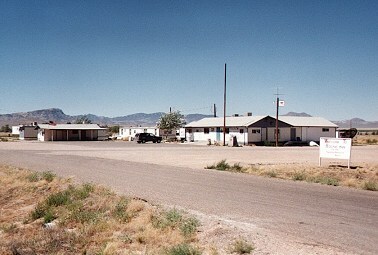 The "ID4" monument in front of the Little A'Le'Inn was placed here by the producers of the movie Independence Day. It contains a time capsule, to be opened in the year 2050. The Quik Pik Mini Mart and gas station. Until 2006 it was the only store and gas station in Rachel, operated by the Day family, the founders of Rachel in the 1970's. In 2006 it was taken over by a new owner, who managed to ruin the small but steady business within a few months. It was closed in the winter of 2006/2007, along with the adjacent trailer park. 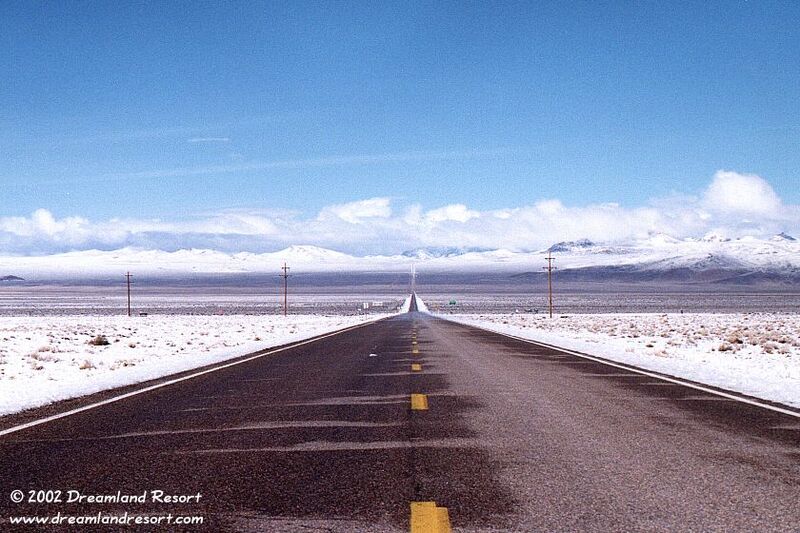 The nearest gas is now 50 miles south, in Ash Springs, or 110 miles north, in Tonopah. On the far left in the photo you can see some of the instruments of the Rachel weather station, operated by the Department of Energy. It also monitors the gamma radiation in the area. Click here for the latest data. 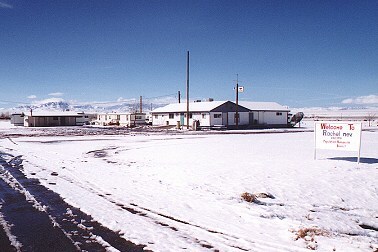 After the Quik Pik closed the weather station was relocated to a site near the Little A'Le'Inn. Photo by Koji Kamino, with friendly permission.